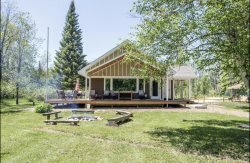 20% OFF RENTAL RATE AT TRAVERSE CITY ESCAPE! - Select "Book it now"
- Enter all information and proceede to payment method. - Once booked, you will recieve an email confirmation! Any questions, reach out to management for help!